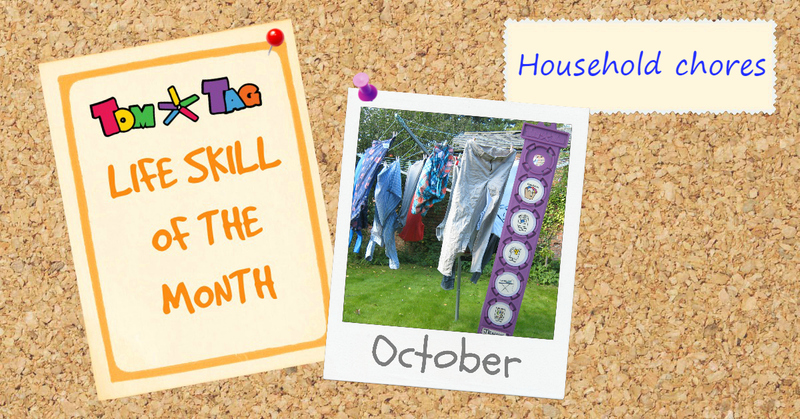 We often find that it’s quicker and easier to do household chores ourselves but getting kids involved when they’re young (and eager!) will set them up well for later life. Children learn how to look after themselves and their home and become familiar with concepts such as teamwork and the discipline of routine. 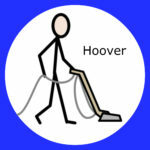 Sharing out the housework has the added bonus that it saves you time and stress too. 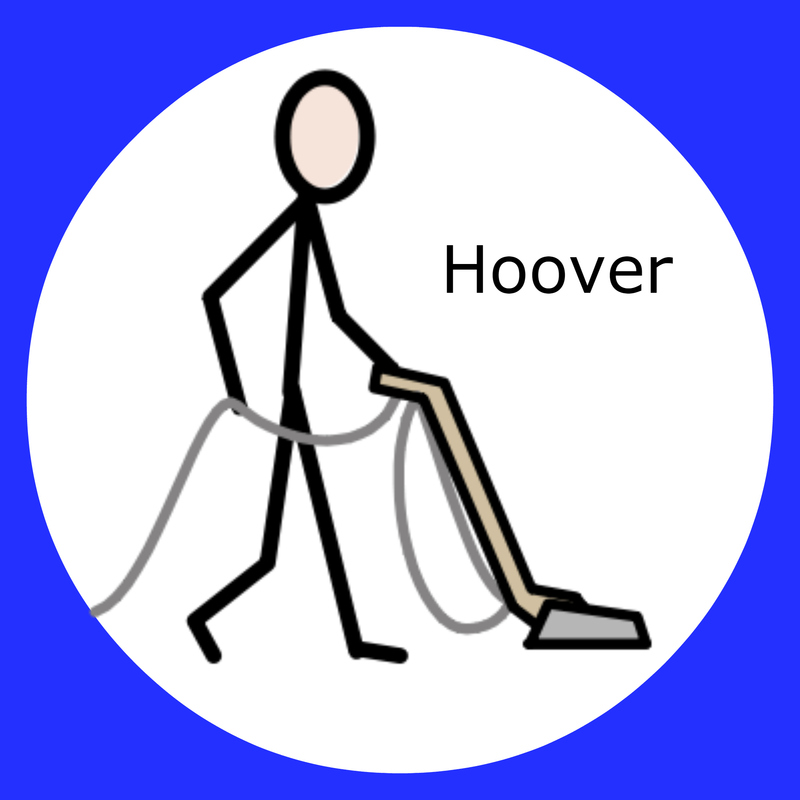 Use a set of tags to give step-by-step instructions for cleaning different rooms in the house. 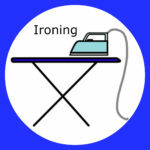 Label a tag with the name of each child and list the chores they need to complete that day/week. List the jobs you want completing on separate tags and let each child pick a tag out of a hat to find out what their task is. 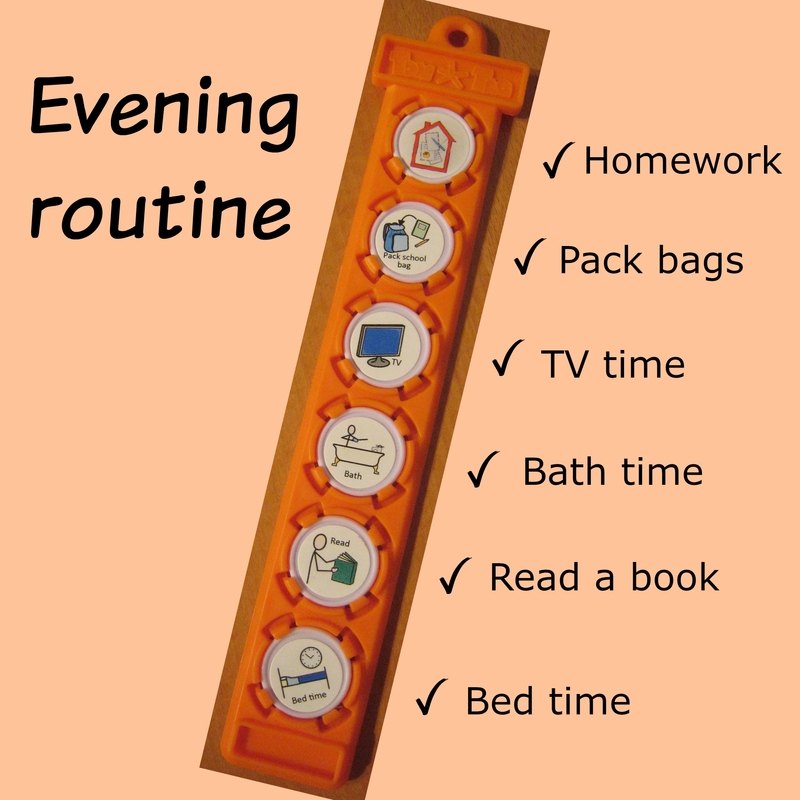 Building good habits from an early age always makes things easier in the long run. 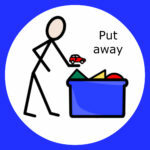 Children as young as 2 years old can pick up their own toys, put dirty clothes in a washing basket and wield a duster. Turning tasks into a game always makes things more fun. 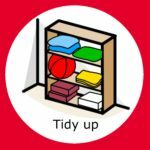 Turn the radio up and dance while hoovering, shout out colour names when sorting laundry or let kids compete to be the first to tidy their room (to your standard!). This will naturally depend on your child’s age and developmental level. You’ll find plenty of guides online but you’re the best judge of what your child’s ready for. 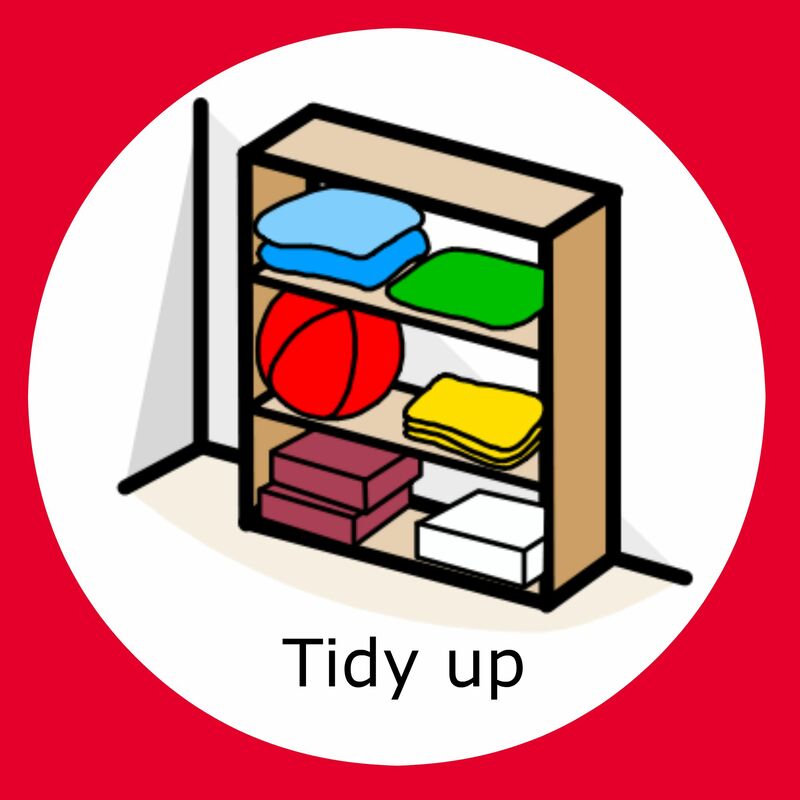 Build up gradually to the more difficult tasks so they don’t get frustrated if they can’t complete the task independently. Our Pinterest Household Chores board has lots of ideas for age-appropriate chores. Set a good example by making sure that everyone helps out – in an age-appropriate way. If you child is old enough, involve them in a family discussion to decide who should do what around the house. Offer options so that children can choose the jobs they prefer. 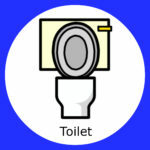 If no-one wants to do a particular task (such as cleaning the toilet! 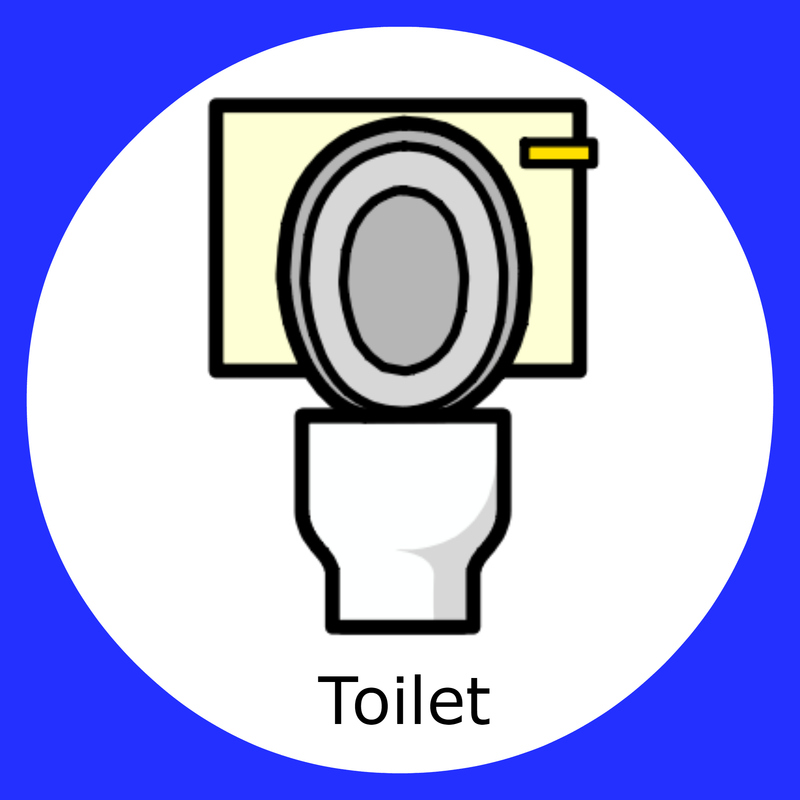 ), use a rota system so that everyone takes a turn. Don’t expect perfection, especially at first or if they are very young. Praise those things they did well and they’ll feel proud of what they got right and motivated to do the job again next time. Tell them how much it helped you and they’ll feel they are making an important contribution to the family. 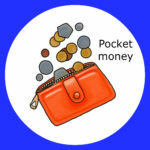 This will depend on your own family values and views but if you want to add an extra incentive, chores can be linked to giving pocket money or earning other treats. 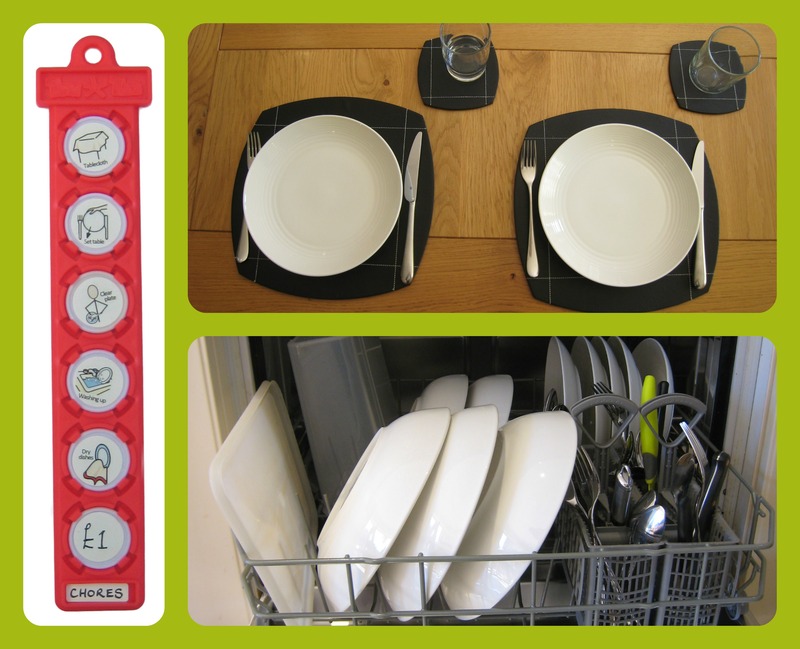 Use a blank sticker to add a £ button to each chore checklist, like this one for helping out at mealtimes and doing the dishes. National Teaching Assistants Day recognises the valuable contribution that over 240,000 teaching assistants (TAs) make to the education and support of pupils in schools across the UK. 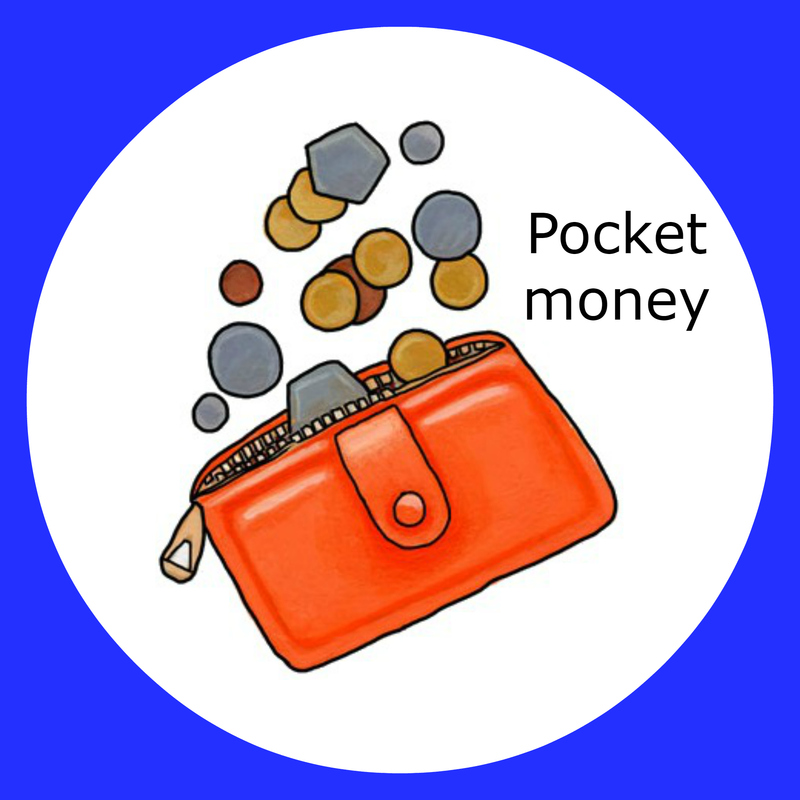 Most TAs are employed to support pupils with special educational needs (SEN) either working with a child one-to-one or in a small group to reinforce what has been learned earlier from the teacher; others have more general classroom responsibilities. I have met many TAs over the years as they have supported my son, who has autism and language impairment, during his journey through mainstream school. From this experience, these are my top tips for building a good parent/TA relationship. Share information about your child’s strengths, interests, likes and dislikes with the TA as much as possible. My son loves trains and lorries so letting his TA know what inspired him helped her incorporate those interests into his writing and maths tasks. By sharing his dislike of noisy, crowded rooms she could suggest alternative, quieter activities we could use whenever he became overwhelmed in such situations. Decide how you will communicate and agree a way that works best for both of you. A weekly phone call might be sufficient for some whereas others may prefer more regular emails, texts or paper-based contact. When my son was in primary school and had just one TA I found a home/school contact book to be most useful. 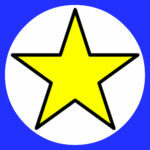 This was used daily to share information about his activities, issues or events at home or school. Now that he is in secondary school with a number of TAs, I find regular emails to each assistant to be the most effective and efficient means of communication. Recognise that whilst the teaching assistant is supporting your child, the teacher has the responsibility for what happens in their classroom. Qualified teachers are responsible for children’s learning so it’s important to ask the teacher and SENCO how your child’s TA is being deployed in the classroom to get the best from your child. 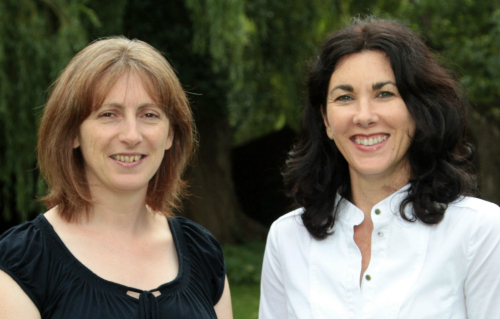 Find out what training the TA has had to provide the support your child needs too. If you are concerned about your child’s progress don’t blame the TA but speak directly to your child’s teacher and SENCO about your concerns. 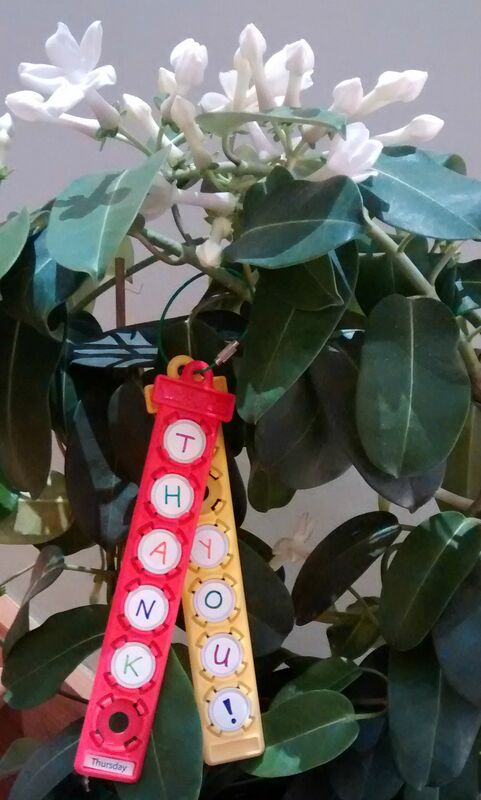 Everyone likes to feel valued. Don’t forget to tell your TA how much you appreciate their support; a handwritten card and small gift at the end of the year is a nice token of gratitude! 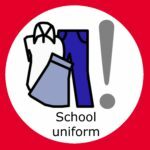 If you’ve been following our TomTag life skills series so far, your children will be well on their way to being able to wash, brush their teeth and dress themselves independently. 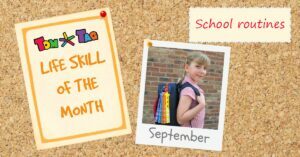 These skills are the essential building blocks they will need to help them establish a successful school routine that won’t leave you stressed and worn out before the day has even started! 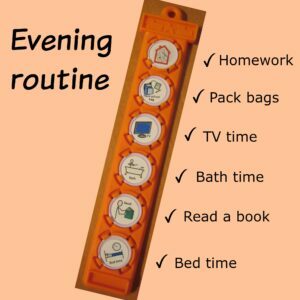 The best way to avoid frantic and stressful school mornings is to have a regular evening routine. 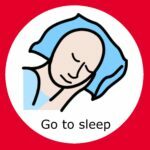 Preparing the night before frees up time in the morning and helps you to sleep well knowing that everyone is ready to get up and go. 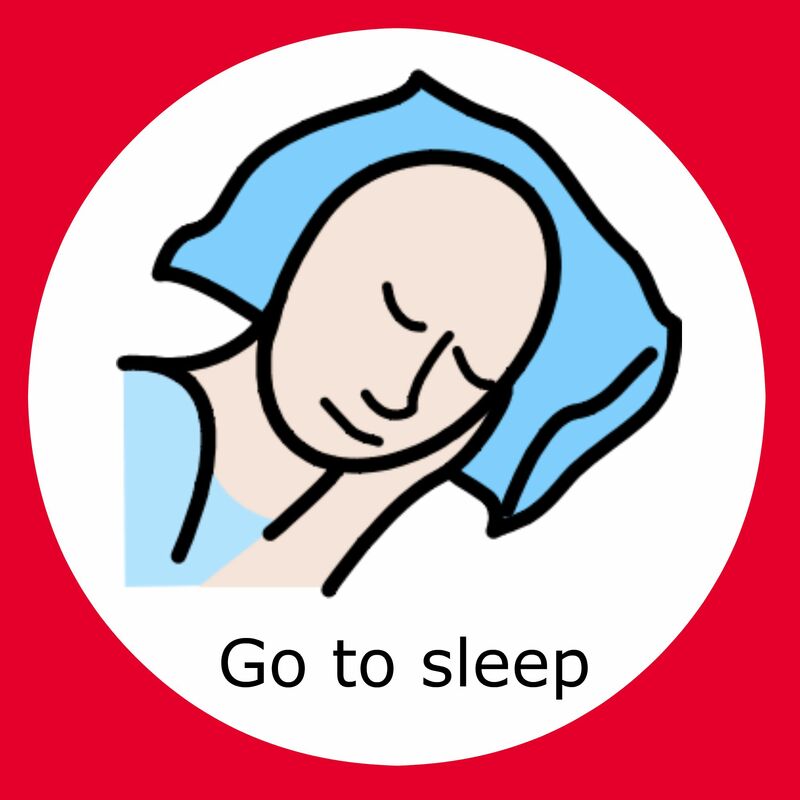 If your child needs help to settle and calm down before bed, use TomTag to make a bedtime routine timeline to help reinforce your expectations and ensure everyone gets a good night’s sleep. Set aside a designated area for coats, shoes, bags, sports gear, letters, etc. and encourage your child to use it. A little effort setting this up now will make everyday packing and organising so much quicker and easier. This doesn’t need to be complicated or expensive – some simple wall hooks or stacked boxes might be all you need. 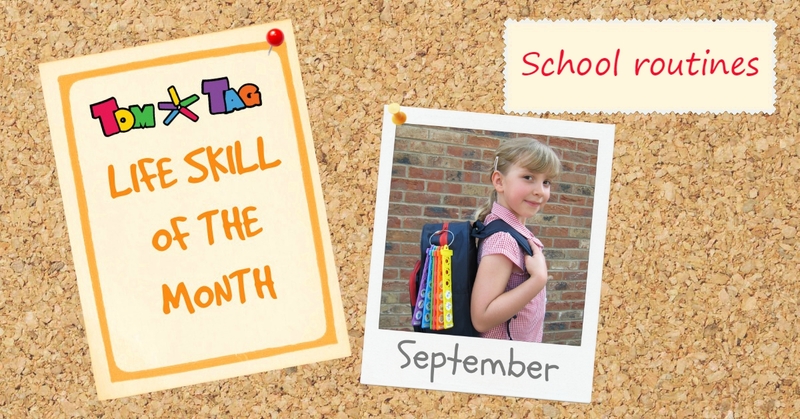 Check out our Pinterest Back to School Organisation board for some creative ideas. 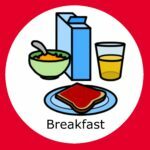 Some children may prefer to get it done and out of the way straight away whilst others may need a rest, a snack or some chill-out time first. Go with what works best for your child but be consistent so that your child knows what is expected. 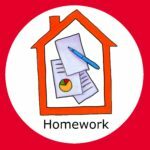 Using a designated area for homework also helps create good habits; this might simply be at the kitchen table with supervision for younger children or a quieter place at a bedroom desk for older ones. 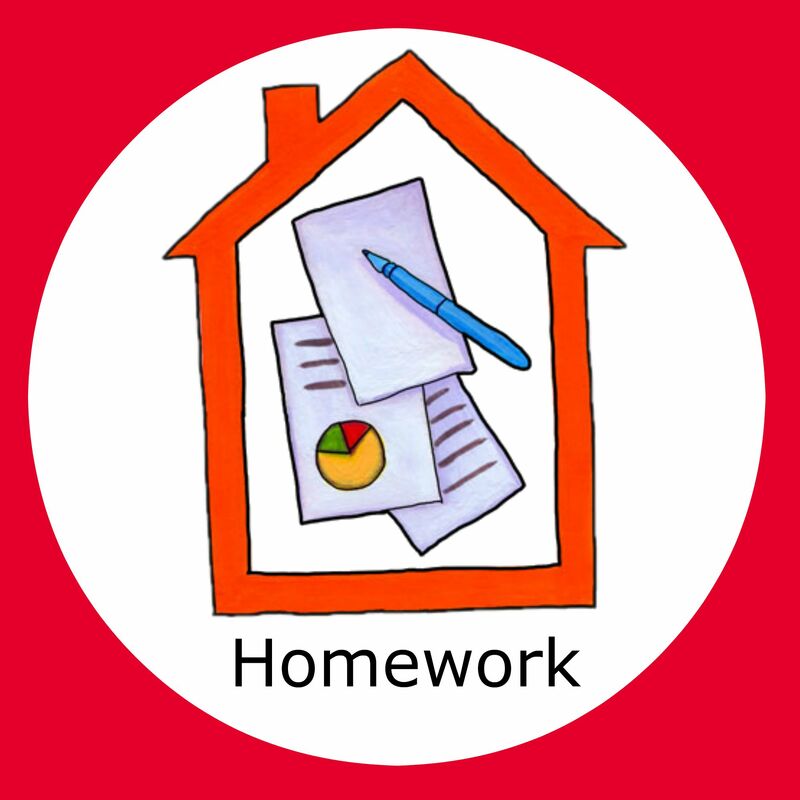 Check out your school’s homework policy to see how much time they expect your child to spend on it. If they’re struggling with something in particular, set a time limit then leave it and write a note to the teacher explaining the position. Setting out clothes the night before saves a lot of stress trying to find clean clothes in the morning. Don’t forget pants and socks too! 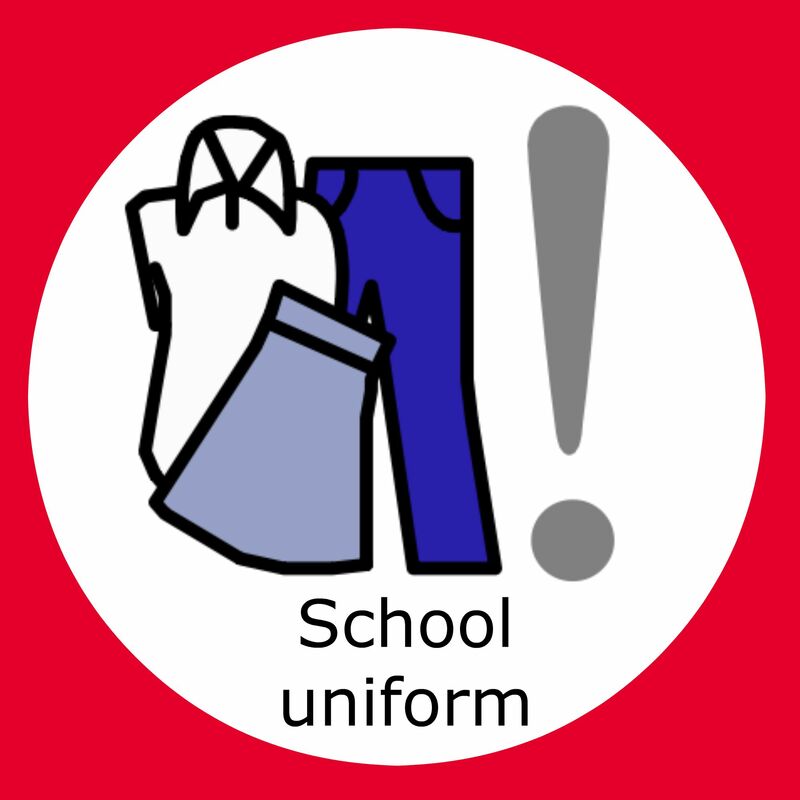 Help to keep uniform tidy by encouraging children to change out of it when they get home from school and hang it up ready for the next day. Get into the habit of packing up school bags the night before to avoid that mad morning rush around the house looking for missing items. Check bags for any letters or permission slips that need returning and empty out anything that isn’t needed for the next day. If there’s anything that can’t be left out the night before (eg. 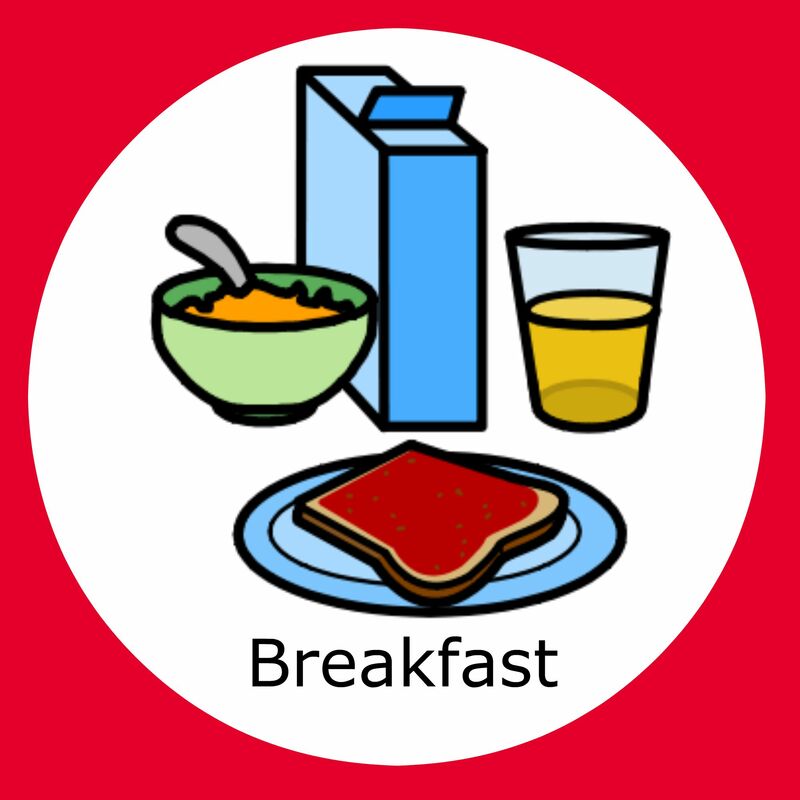 packed lunches) leave a sticky note on top of the bag to remind you to add it in the morning. 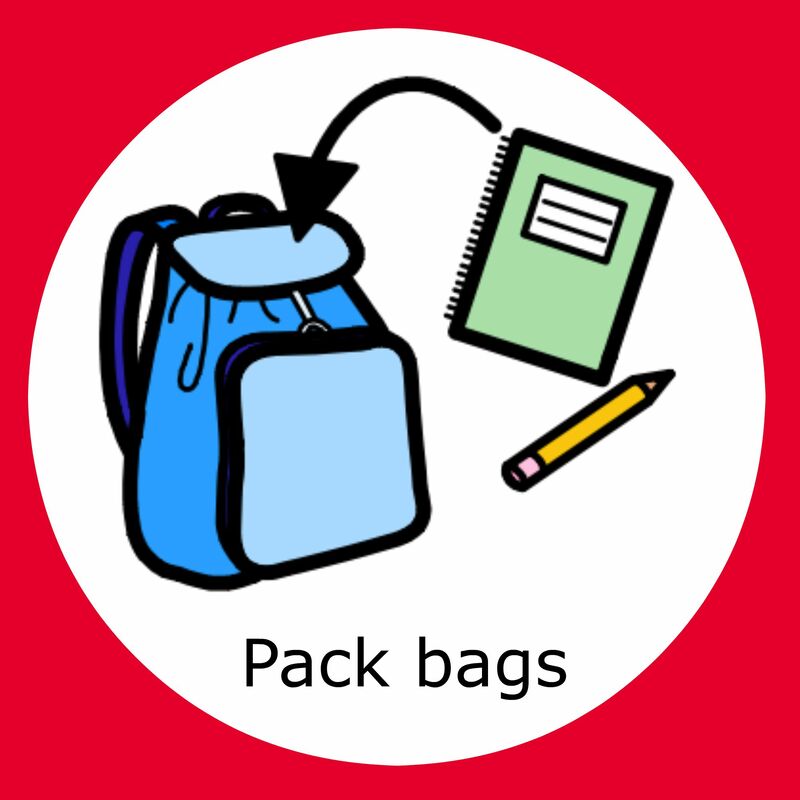 With the right guidance, even very young children can take responsibility for packing their own school bags. 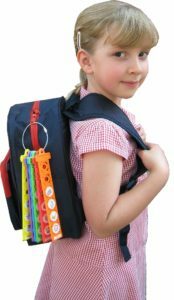 Our TomTag I can do it – pack my bag for school kit attaches to any school bag and helps children remember what they need to take to school and bring home again each day. For tips on teaching this skill, read our short guide here. 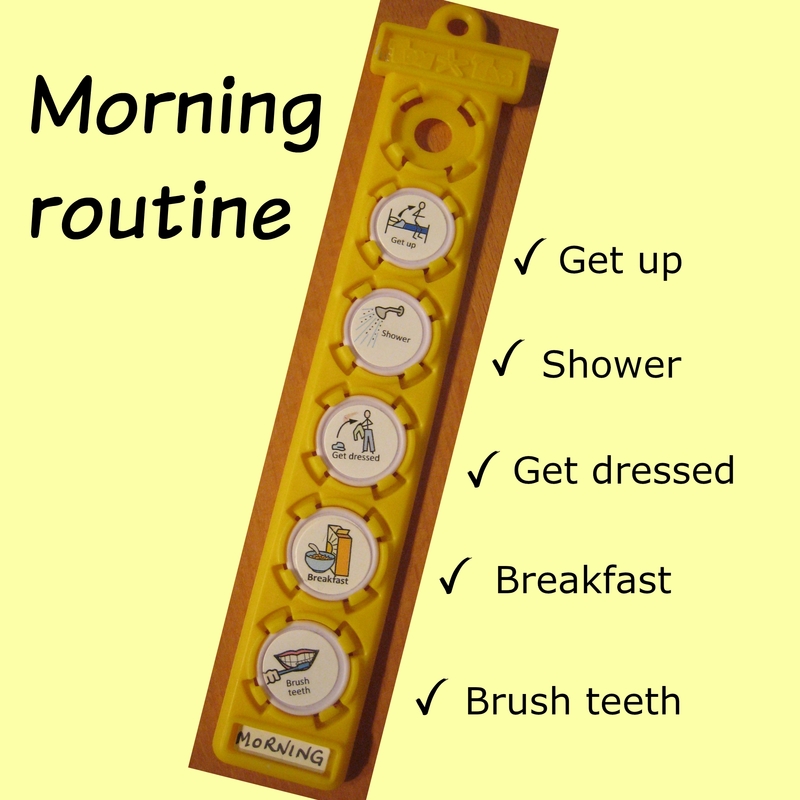 Just like at bedtime, you can use TomTag to make a timeline for your morning routines. If you’re still working on the self care skills we introduced earlier in the series, you might need to start with an individual list for each task, such as showering, dressing, brushing teeth, etc. 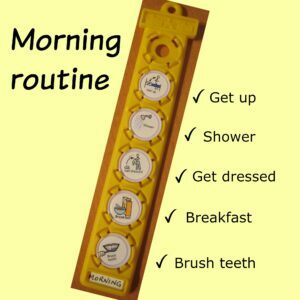 If you’re child can manage these independently and responsibly then one quick morning summary checklist might be all you need to prompt them each day. 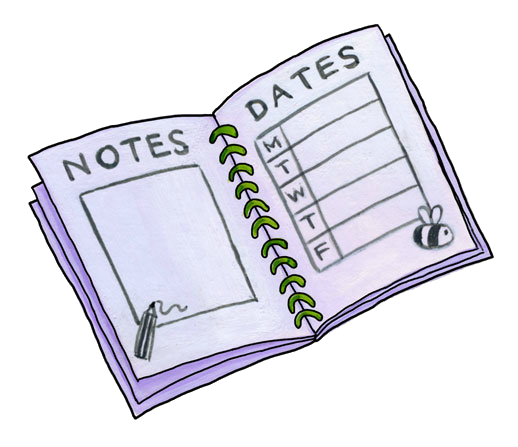 We wish you good luck and many happy, smooth-sailing, school mornings!